Hi, I’m Gerry O’Toole and I am DIO’s Business Manager for the British Army Training Unit Suffield, also known as BATUS. It’s an enormous area of land in Alberta, Canada, where the British military can practise huge exercises. You may have seen Brig. Stockley’s recent blog about the vital work done by foreign nationals working for MOD on our overseas sites, and I wanted to explain a little more about how it works in Canada. 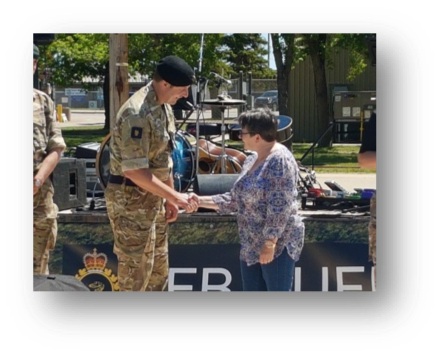 Unlike other overseas MOD sites, the Locally Employed Civilians (LEC) working for us are all Canadian civil servants from the Department of National Defence (DND). The DND HR Department employs over 1,100 Locally Employed Civilians at BATUS, who provide a multitude of diverse services, from manual labour to highly experienced technical tradesmen and women. DIO directly employs 100 LECs who are operationally managed by British Permanent Staff. These people mostly work directly for the DIO Engineer Park and DIO Quartermaster Main Department (QM(M)). We have 24 LECs working in temporary positions at the DIO Engineer Park throughout the training season. They are responsible for all targetry requirements in BATUS. They hold the largest deployable targetry fleet within the British military at an annual cost of CDN $1.3m. The targetry teams position more than 800 light and heavy target mechanisms in a four week period which is no mean feat. The total targetry fleet consists of 600 Light Target Mechanisms, 600 Heavy Target Mechanisms and 10 Mover Target Mechanisms. In recent years we have had to replace a number of the units which detect when a target has been hit, primarily due to water damage. The team in the Electronic Warfare Workshop experimented with a compound which encases the units to prevent water reaching them, which has worked brilliantly and we estimated will save well over CDN $1million over the next five yearsDIO Canada is constantly striving to identify potential savings and this is just an example of the continuous efforts being made by the team of military and civilian staff to do just that. 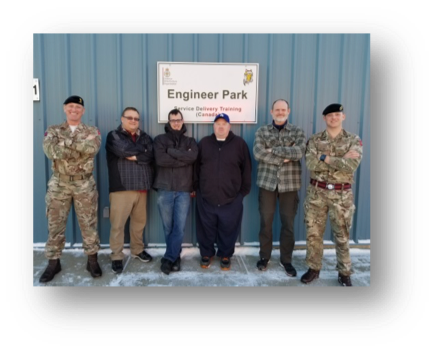 In the Quartermaster (Main) Department we employ up to 69 LECs who work with British Permanent Staff to provide Soft Facilities Management. They range from labourers, chefs, contract managers, finance and accommodation staff, and logistical store management. Along with the 200 permanent staff, the LECs deal with 8,000 deploying military personnel, manage 3,169 Single Living Accommodation units, 127 Service Family Accommodation homes and 52 Surplus Service Family Accommodation homes from Medicine Hat up to Cochrane in the Rocky Mountains. Several of these LECs have recently had their hard work recognised by being presented with a Commander’s Coin. This is a military way of showing gratitude for a job well done. Josephine Deneve, the stationary stores manager, and Jason Luhning, who works in the Clothing Stores and processes removals for permanent staff on assignment around the world, were both presented with a coin by the Commandant of BATUS, Col. Marcus Evans. They are just two of the many dedicated Canadians who are essential to the successful work we do here, enabling British forces to come to Canada for vital training every year.